At our London Hampstead school, we can provide a variety of different rooms to rent – ideal for meetings, team building sessions, executive presentations, business briefings, small conferences or team socials. 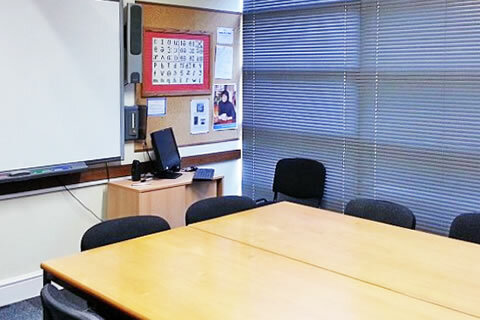 All of our classrooms are equipped with whiteboards and CD/DVD players. Wi-Fi is available throughout the building. 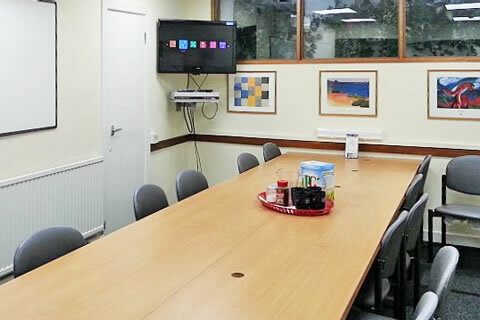 Meeting rooms are equipped with whiteboards, CD and DVD players and widescreen TVs. Our school café is furnished with sofas, armchairs, chairs and tables and can seat approximately 25 people. Also equipped with a widescreen TV and audio system. 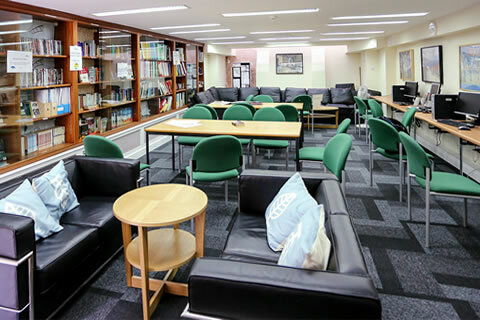 Our library provides a good sized space for functions or meetings. It is furnished with tables, chairs and sofa seating. Also access to computers and Wi-Fi. 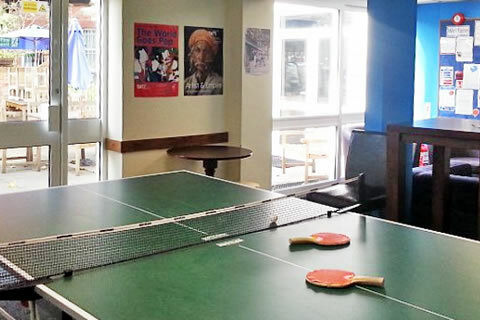 Our spacious games room is equipped with a table tennis table. Located close to the school café and large outdoor patio area. Our facilities are located on Finchley Road in London's Zone 2, with excellent transport links to Central London via buses (13 & 113), Jubilee and Metropolitan Lines and London Thameslink. 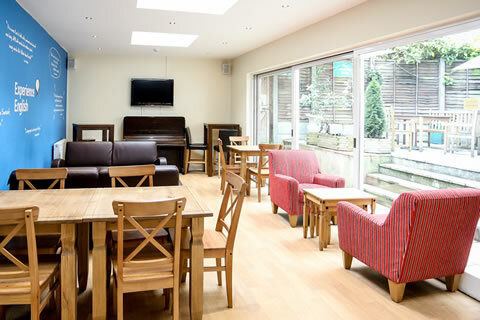 The school is located within walking distance of shops and restaurants on West Hampstead high street and close to Hampstead Heath, one of London's largest and most popular parks. For more information or to make a booking please send an enquiry or call us on 0207 794 3533. A weekend supplement of £40 applies to all rates.